This entry was posted in Civil Rights, Corruption, Economics, Government, Health Care, Human Rights, Income Inequality, Women's Issues and tagged Abortion, Atrocities, Civil Rights, Corruption, Department of Health and Human Services, Donald Trump, Economics, Equality, Guttmacher Institute, Health Care, Human rights, Income Inequality, International Women's Health Coalition, Kirsten Gillibrand, Letita James, LGBTQ, Mexico City policy, National Abortion Federation, Planned Parenthood, Planned Parenthood Action Fund, pro-choice, Tammy Duckworth, Women's Issues on February 23, 2019 by MNgranny. 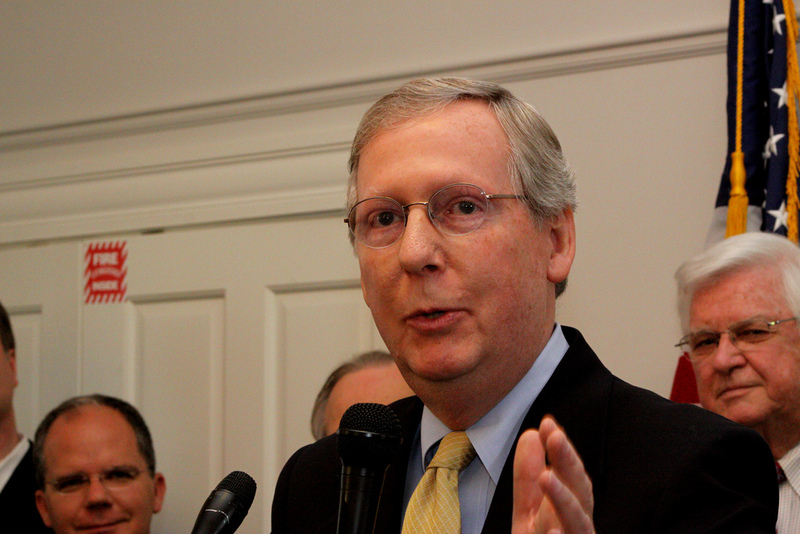 Freshman members of Congress and others who have been demanding to know the whereabouts of Senate Majority Leader Mitch McConnell in recent days got their answer on Thursday, as McConnell held a Senate vote not on whether to reopen the government, but on a bill that would restrict abortion rights for low-income women. 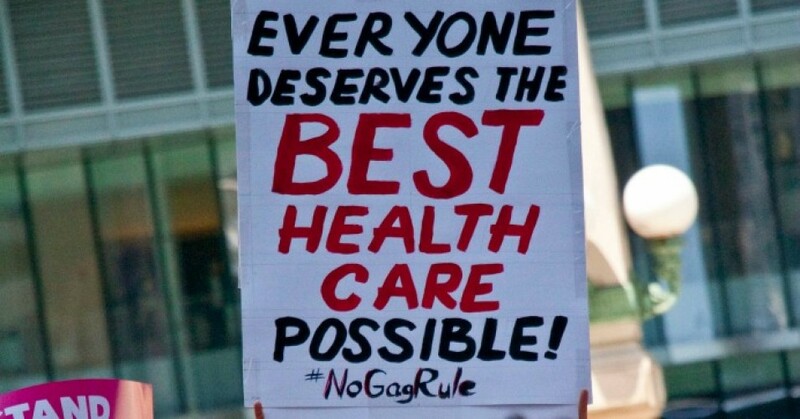 This entry was posted in Civil Rights, Corruption, Economics, Government, Health Care, Human Rights, Religion, Social Justice, Women's Issues and tagged #WhereIsMitch, Abortion, ACA, Alexandria Ocasio-Cortez, Civil Rights, Corruption, Economics, Equality, government shutdown, Health Care, Human rights, Hyde Amendment, Mitch McConnell, National Abortion Federation, No Taxpayer Funding for Abortion Act, Patty Murray, pro-choice, religion, Rev. Katherine Hancock Ragsdale, Roger Wicker, S.109, social justice, Women's Issues on January 18, 2019 by MNgranny. 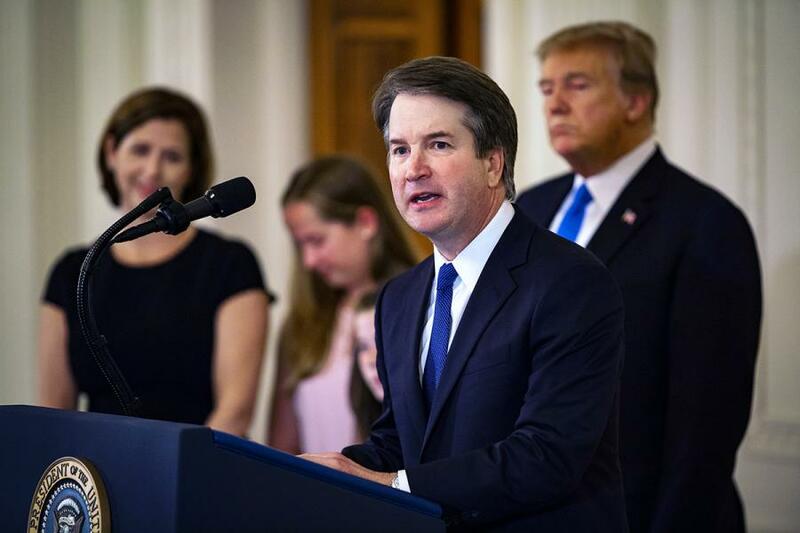 While Senate Democrats continue to fight for records pertaining to President Donald Trump’s U.S. Supreme Court nominee Brett Kavanaugh—threatening on Thursday to sue the National Archives for documents detailing his time working for the second Bush administration—a new poll from CNN revealed Kavanaugh is the least popular nominee in more than three decades. This entry was posted in Civil Rights, Climate Change & Environmental Issues, Corruption, Economics, FCC, Government, Health Care, Human Rights, Mining, Supreme Court, Technology, Water, Women's Issues, Workers' Issues and tagged Abortion, Big Oil, Brett Kavanaugh, Capitalism, Chuck Schumer., Civil Rights, Claire McCaskill, Democracy, Donald Trump, Economics, Energy, Environment, Equality, Freedom of Information Act, George W. Bush, Health Care, Heidi Heitkamp, Human rights, Joe Donnely, Joe Manchin, Lisa Murkowski, net neutrality, Robert Bork, Russia, Senate Judiciary Committee, social justice, Supreme Court, Water, Women's Issues, Worker's Rights, workers' issues on August 17, 2018 by ew. 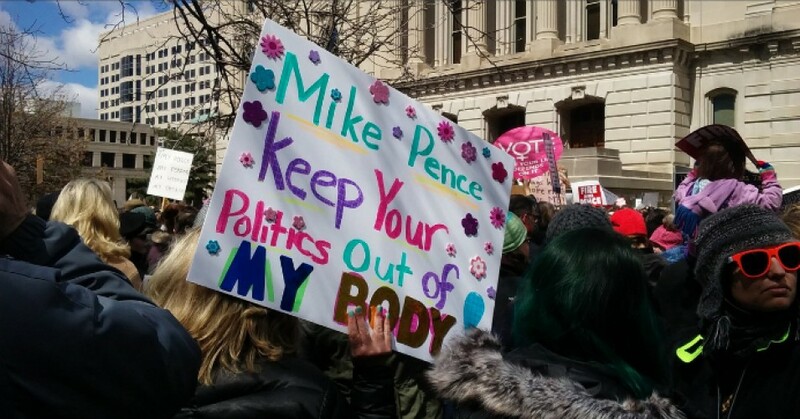 Reproductive rights groups celebrated “a victory for women” after a federal appeals court upheld a ban on a provision in an Indiana law—signed by former governor and current Vice President Mike Pence—that forced any woman considering an abortion to undergo an ultrasound 18 hours before the procedure. This entry was posted in Civil Rights, Corruption, Economics, Government, Health Care, Human Rights, Religion, Social Justice, Women's Issues and tagged Abortion, ACLU, Civil Rights, Corruption, Economics, Equality, HEA 1337, Health Care, Human rights, Indiana, Mike Pence, Planned Parenthood of Indiana and Kentucky, pro-choice, religion, Roe v. Wade, social justice, Women's Issues on July 27, 2018 by MNgranny. 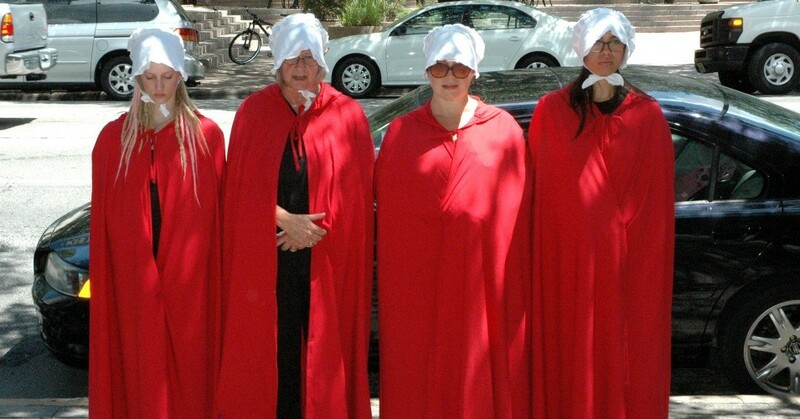 Resisting the Trump-Pence administration’s anti-choice and anti-woman agenda, dozens of woman dressed as handmaids from the novel and TV series “The Handmaid’s Tale” are planning to greet Vice President Mike Pence when he arrives in Philadelphia on Monday for a GOP fundraiser. This entry was posted in Civil Rights, Corruption, Demonstrations & Protests, Government, Health Care, Human Rights, LGBTQ Issues, Racism, Religion, Supreme Court, Women's Issues, Workers' Issues and tagged Abortion, Atrocities, Brett Kavanaugh, Civil Rights, Corruption, Donald Trump, Health Care, Human rights, LGBTQ, Mike Pence, Planned Parenthood, pro-choice, Protests, Racism, Refuse Fascism, religion, Roe v. Wade, Supreme Court, The Handmaid's Tale, William Rehnquist, Women's Issues on July 24, 2018 by MNgranny. Demanding unlicensed anti-choice health centers “stop the lies” they tell women who are facing unwanted pregnancy, reproductive rights advocates on Tuesday railed against the U.S. Supreme Court’s 5-4 decision in which the majority ruled that so-called “crisis pregnancy centers” can withhold crucial health-related information from patients. 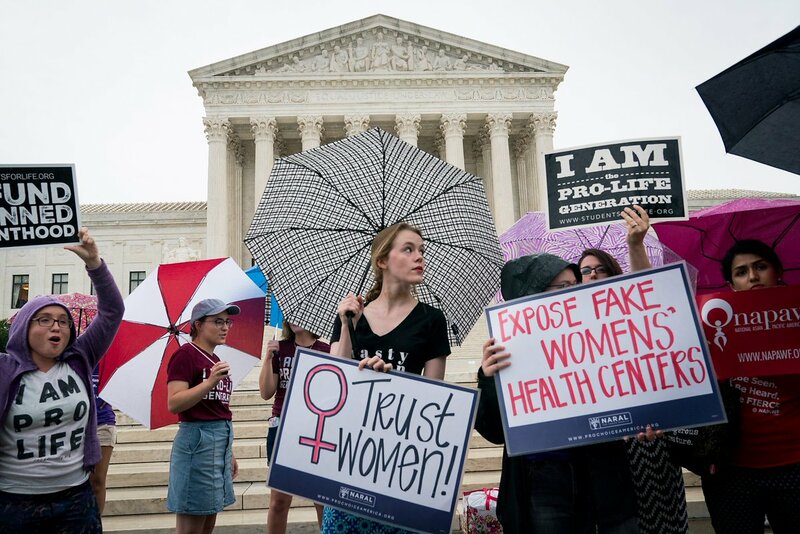 “Fake” health centers were able to secure their victory thanks to the “stolen seat” inhabited by Justice Neil Gorsuch, noted groups including NARAL Pro-Choice America. This entry was posted in Civil Rights, Corruption, Demonstrations & Protests, Health Care, Human Rights, Religion, Social Justice, Supreme Court, Women's Issues and tagged #EndTheLies, Abortion, Antonin Scalia, Atrocities, Barack Obama, California, Civil Rights, Corruption, crisis pregnancy centers, Equality, FACT Act, Health Care, Human rights, Merrick Garland, Mitch McConnell, NARAL Pro-Choice America, Neil Gorsuch, pro-choice, religion, social justice, Supreme Court, Women's Issues on June 27, 2018 by MNgranny. 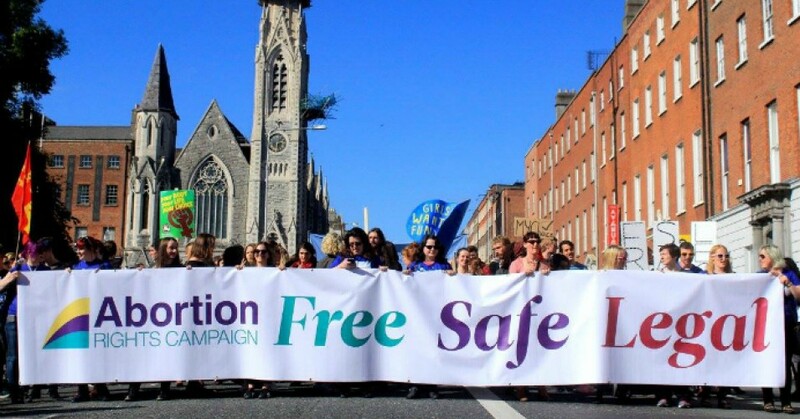 Ireland expected the higher-than-usual voter turnout to continue into the evening on Friday as Irish citizens headed to ballot boxes in droves and women living abroad returned to their home country to weigh in on a measure that would repeal the Eight Amendement of the Irish Constitution, which bans abortion unless a pregnant woman’s life is at risk. 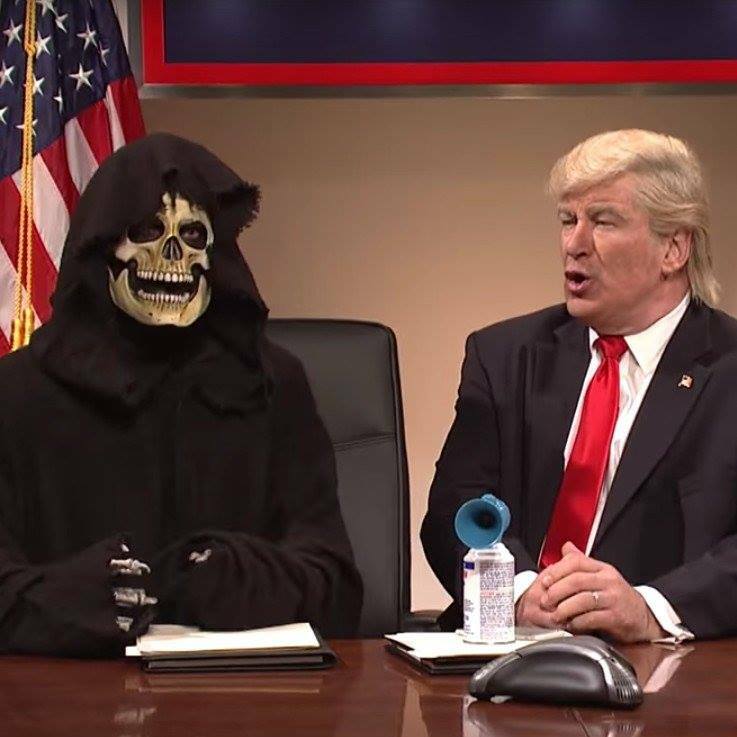 This entry was posted in Civil Rights, Government, Health Care, Human Rights, Religion, Social Justice, Solidarity, Voting, Women's Issues and tagged Abortion, Civil Rights, Democracy, Equality, Health Care, Human rights, Ireland, pro-choice, social justice, Solidarity, Women's Issues on May 26, 2018 by MNgranny. 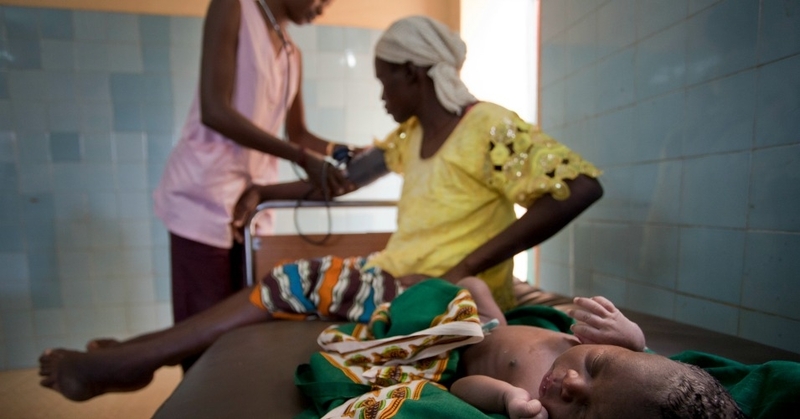 Women’s rights groups on Thursday denounced a report issued by the State Department on the impact of the Trump administration’s reinstatement of the global gag rule, also known as the Mexico City policy—saying the misleading document ignores the clear negative impacts the policy is having on poor communities and women around the world that have lost access to vital health services. This entry was posted in Banking & Lending Issues, Civil Rights, Corruption, Economics, Government, Health Care, Human Rights, International Agreements, Religion, Social Justice, Women's Issues, Workers' Issues and tagged Abortion, Atrocities, Civil Rights, Corruption, Donald Trump, Economics, Equality, foreign aid, gag rule, Health Care, Human rights, International Agreements, International Planned Parenthood Federation, Madagascar, Marie Stopes International, Mexico City policy, religion, Ronald Reagan, social justice, Uganda, Women's Issues, workers' issues, Zimbabwe on February 9, 2018 by MNgranny. This entry was posted in Civil Rights, Corruption, Government, Health Care, Human Rights, Income Inequality, Religion, Social Justice, Women's Issues, Workers' Issues and tagged Abortion, ALEC, Atrocities, Civil Rights, Conscience and Religious Freedom Division, constitutional convention, Donald Trump, Equality, Health Care, HHS, Human rights, Income Inequality, LGBTQ, Planned Parenthood, religion, social justice, Women's Issues, workers' issues on January 24, 2018 by ew. 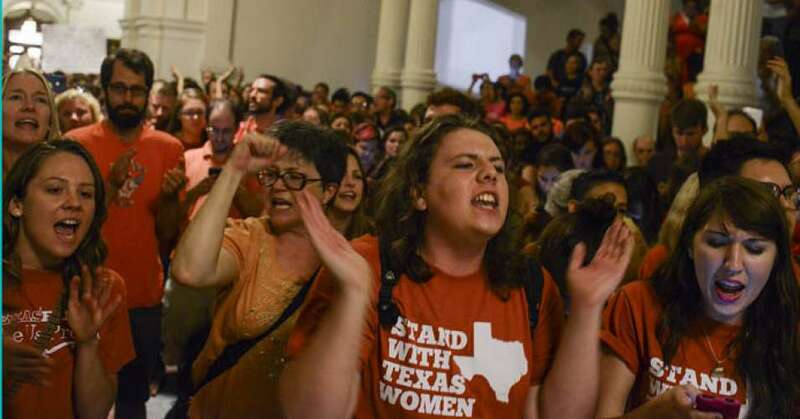 After temporarily halting a Texas abortion law that was slated to take effect earlier this year, and which critics warned would endanger women who seek to terminate a pregnancy in the second trimester, a federal judge issued a blow to the state’s notorious anti-choice Republicans on Wednesday and permanently blocked the legislation. This entry was posted in Civil Rights, Corruption, Government, Health Care, Human Rights, Religion, Social Justice, Supreme Court, Women's Issues and tagged Abortion, Cecile Richards, Civil Rights, Corruption, Equality, Health Care, Human rights, Lee Yeakel, Planned Parenthood, pro-choice, religion, social justice, Supreme Court, Texas, Whole Woman's Health, Women's Issues on November 24, 2017 by MNgranny.